110 species were identified in 2018, a respectable total and two more than last year. 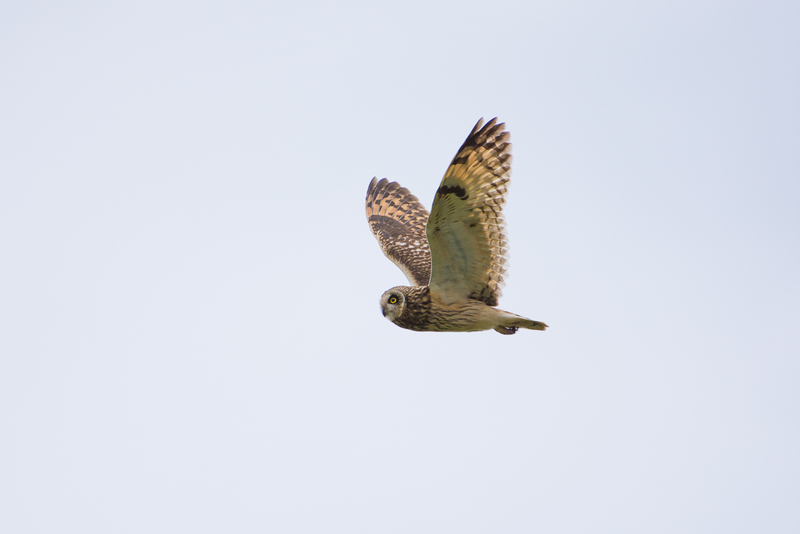 Although there were no rarities there were many interesting records, most notably Kingfisher (the first since 2003), Short-eared Owl, Middle Spotted Woodpecker, Montagu’s Harrier, and large numbers of migrating White Storks flying overhead in early autumn. A new species was added to the park list, Common Redpoll, which made two appearances in early spring. 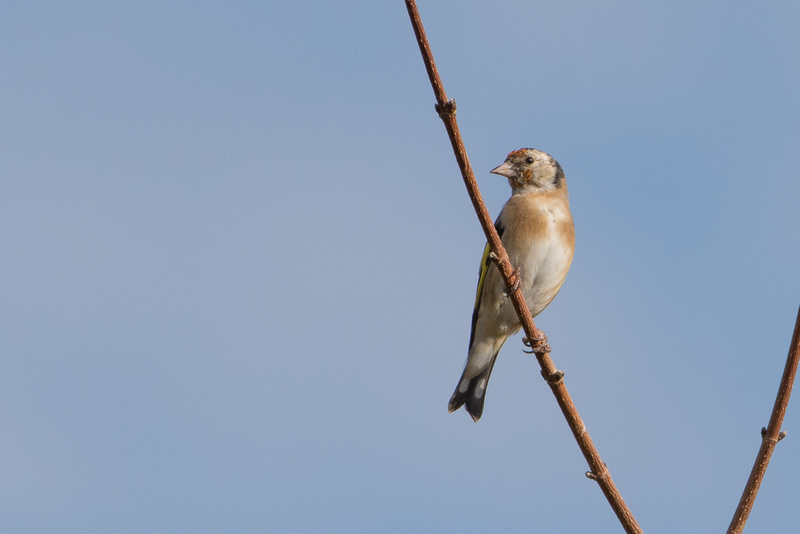 Several species were notable by their absence such as Stonechat, Nuthatch and Golden Oriole and once again Tree Sparrow and Cirl Bunting, two regularly occuring species a few years ago, did not make the list. There was to be no reappearance of the singing Black Woodpecker which prospected the park during April 2016 and 2017. This was an average year for raptor migration : a total of 285 observation hours (-14% vs 2017) resulted in a total of 122 individuals recorded (-40%). Extraordinary events unfolded in mid-April when bird-trappers were discovered operating illegally inside the park. Once alerted the reaction of the authorities (the Town Hall, « Est-Ensemble » and the police) was commendable and impressive with at least one culprit apprehended almost immediately and held in custody. The affair even made the newspapers, an article appearing in « Le Parisien » a few days later (http://www.leparisien.fr/seine-saint-denis-93/montreuil-suspecte-de-braconner-des-oiseaux-au-parc-des-beaumonts-19-04-2018-7673538.php). Enclosed by an electric fence the prairie in the center of the park once again saw the introduction of goats and cows, present until early November, in an effort to control the growth of vegetation. Unless stated otherwise, specified sightings and photos made by DT as sole observer. In spring noted on 12 dates from 11th March to 20th May with a peak of 66 on 24th March. Observed in autumn for the first time on 18th August. Noted thereafter on 14 dates until 18th November, with a maximum of 137 on 17th November [ED/IG/ML/DT]. Local-looking birds are increasingly noted outside migration periods (for example, 1 on 5th January [PR] & 2 on 14th January [PR/DT]). Another rather disappointing year – the species no longer comes to fish at the Mare Perchée as it used to. Observations now involve individuals or small groups flying over the park. Singles noted sporadically throughout the year. 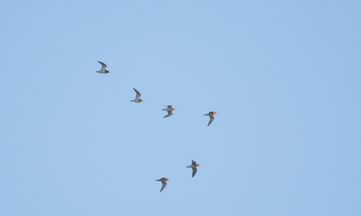 1-5 noted apparently migrating on eight dates in spring, from 2nd April to 18th May. Such birds observed only twice in autumn, including one moving south amongst a group of cormorants on 17th November [ED/IG/ML/DT]. 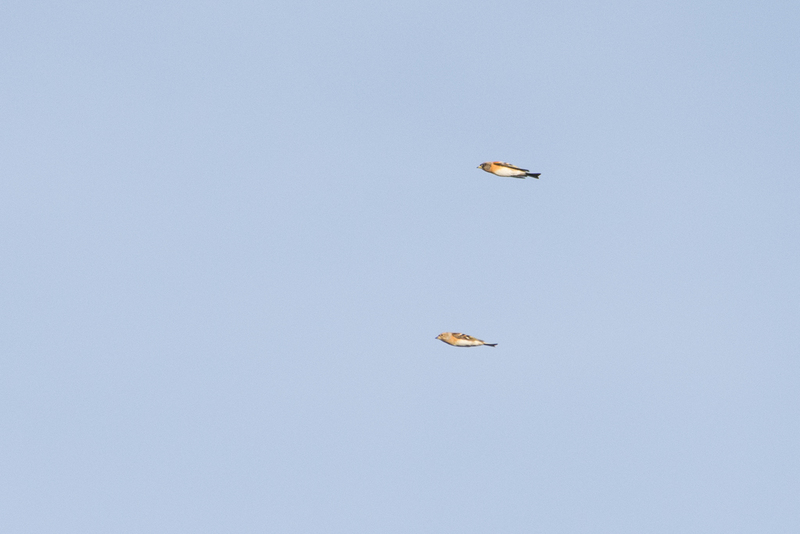 Observed flying over four times in autumn. 31st August (1) - 27th October (1) [SX/IG/DT] - 11th November (1) , 17th November (2) [ED/IG/ML/DT]. C.albus has now been recorded for seven consecutive years, in keeping with its range expansion throughout northwestern Europe. 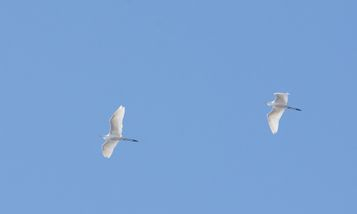 Migrating birds noted on eight dates (two in spring and six in autumn). 2nd April (8) [IG/SH/DT] - 1st May (1). 12th August (92) , 15th August (17) , 19th August (95) , 26th August (12) - 8th September (6) [IG/DT] - 18th November (4) [SX/IG/ML/PR/DT]. Birds flying over the park noted on five dates. 4th March (2) , 31st March (2) - 25th April (3) , 26th April (2). Another disappointing year. Noted only seven times during the first half on the year. Breeding unlikely. 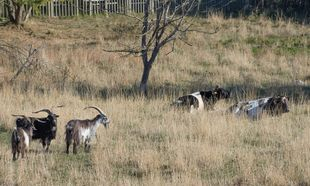 A pair seen during the breeding season at the Mare Perchée, from 3rd February to 24th March. Flyovers noted in April and May. 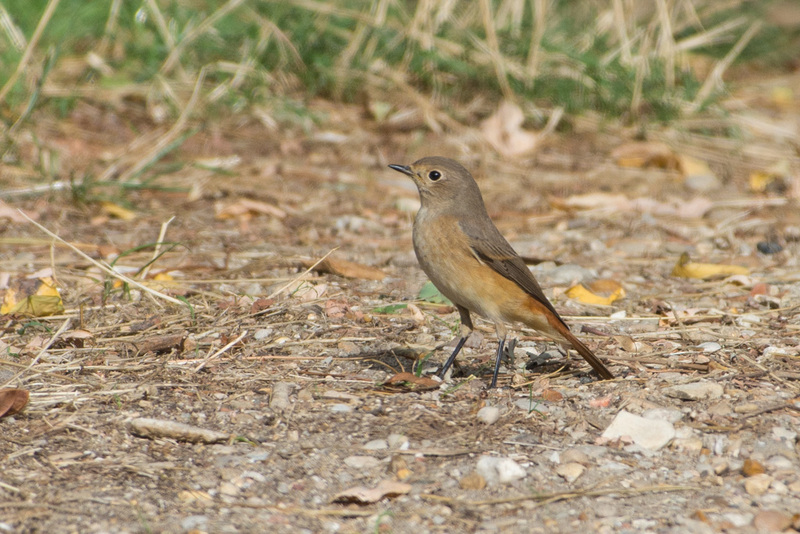 A female observed at the mare Perchée on 20th May, with a male present there on 25th. Although the species has managed miraculously to breed successfully in recent years, the day-to-day disturbances (close proximity to humans, unleashed dogs entering the marsh, etc) renders the chances of breeding almost impossible. 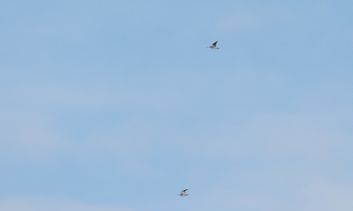 Migrating birds seen flying over the park on four dates (three in spring and one in autumn). 5th April (1) [BG] , 28th April (1) - 1st May (1) [SH/DT]. Noted four times in spring. 15th April (1) [PR/DT] , 21st April (1) - 21st May (2) , 27th May (3). A good year – observed on four dates (one in spring and three in autumn). 29th September (1) [SH/ML/DT] - 3rd October (1) [BG] - 4th November [IG/DT]. 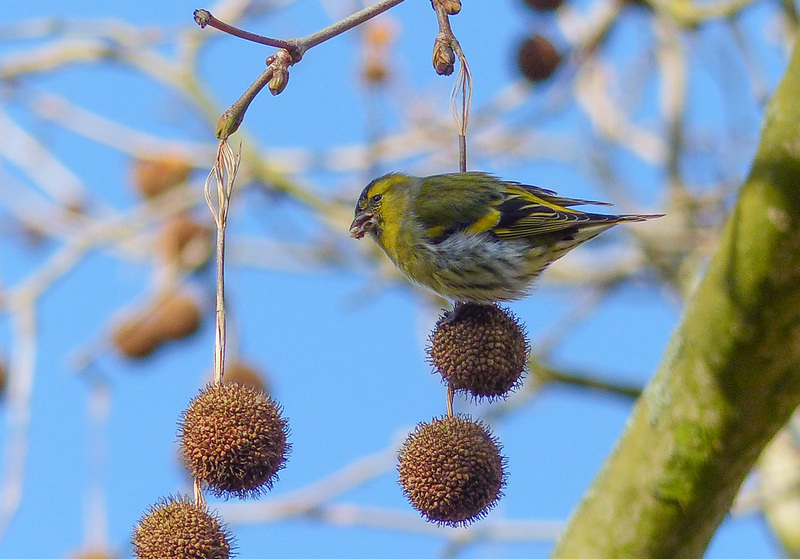 A rather disappointing year – feeble presence in autumn. 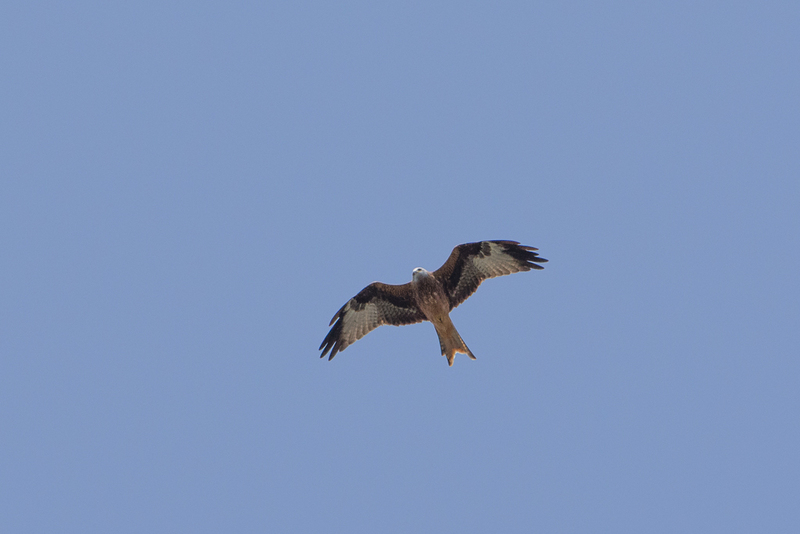 A total of 20 birds were recorded migrating overhead on 14 dates (10 in spring and four in autumn). 24th March (1) - 1st April (1) , 2nd April (2) , 11th April (1) [PR] , 15th April (6) [PR/DT] , 28th April (1) - 1st May (1) [PR/DT] , 8th May (1) , 10th May (1) , 21st May (1). 2nd September (1) , 16th September (1) [IG/DT] , 29th September (1) - 6th October (1) [SX/PR/DT]. 16th September (1) - 13th October (1) [PR/DT]. 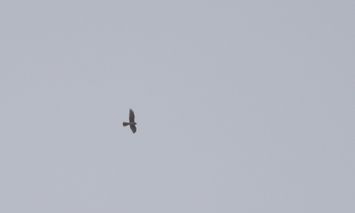 This unidentified harrier caused much excitement as it flew north over the park in the early afternoon. 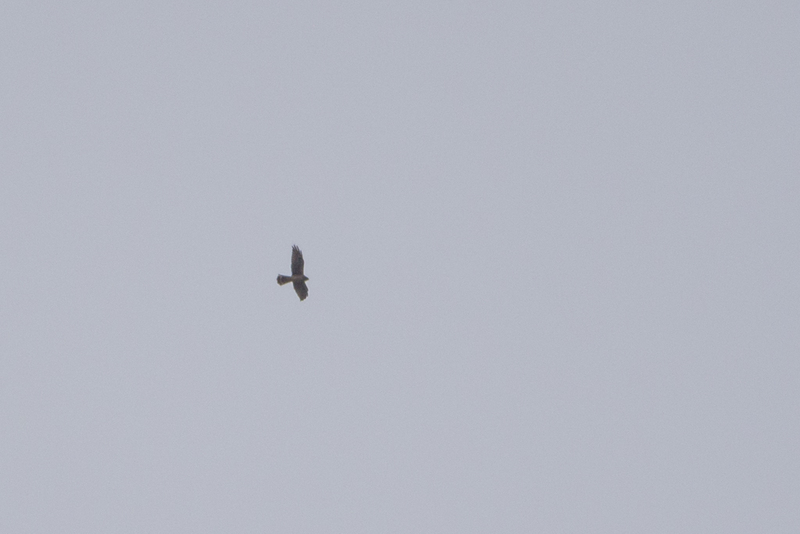 Although almost certainly a Pallid Harrier the bird was unfortunately distant - the resulting photographs could not conclusively eliminate the possibility of a Montagu’s Harrier. 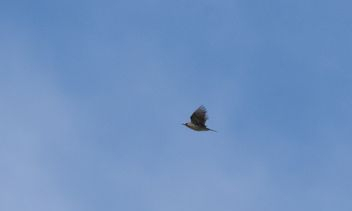 The bird, an adult male, flew over the park on the same date (and just one hour later) as one of the two spring birds last year. 30 birds apparently in active migration noted on 13 dates (six in spring and seven in autumn). 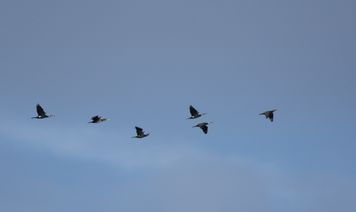 Migration in spring noted from 16th February [PR] to 11th April with a notable group of five birds on 25th March. In autumn 1-2 birds noted on six dates from 18th August to 17th November. 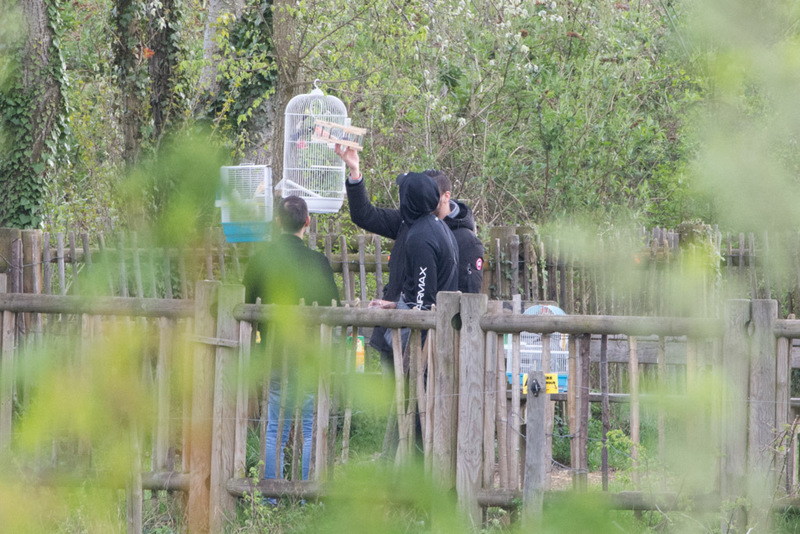 Over the last couple of years the presence of local birds over the nearby Bois de Vincennes has complicated the situation – the task of establishing precise figures of migrating birds has become more difficult. 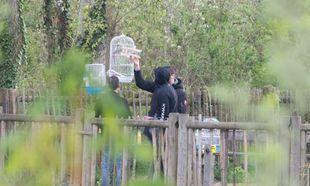 The Vincennes birds (3-4 individuals in general) were particularly visible from late February to late May, with display noted on 15th April. Observed on 11 dates (eight in spring and just three in autumn). 46 birds are involved. The one-day-total of 17 on 25th August was exceptional. 1st May (1) [SX/SH/PR/DT] , 8th May (3) [SH/DT] , 12th May (1) , 19th May (3) , 20th May (4) , 21st May (11) , 26th May (2) , 27th May (1) [SH/DT]. 19th August (2) , 25th August (17) [SX/DT] - 9th September (1). 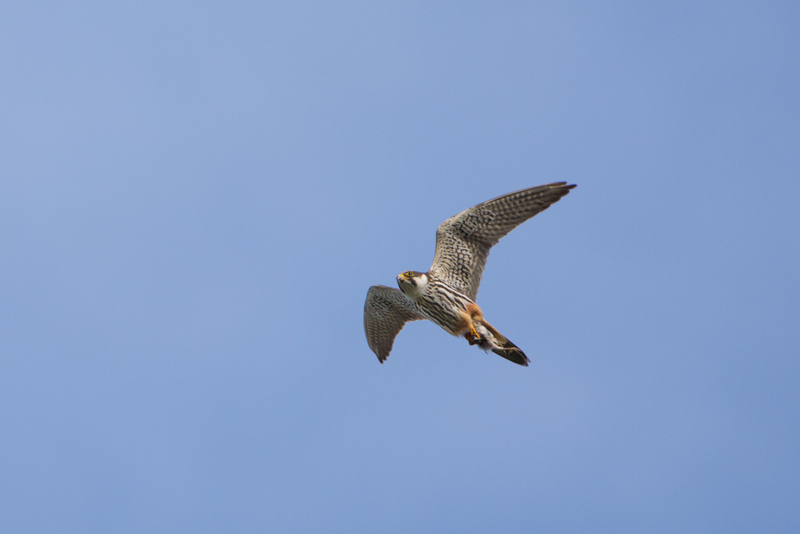 A total of six unidentified large raptors were observed on five occasions (three in spring and two in autumn). Observed regularly (usually 1-3 individuals) throughout the year. Breeding probable in the Bois de Bordure with birds noted twice at the end of May flying in with prey. Contrary to previous years there were no begging calls from juveniles to be heard in late July. In spring and (especially) autumn birds apparently on migration occasionally noted. 1-2 birds observed on 19 dates from 21st April to 16th September. 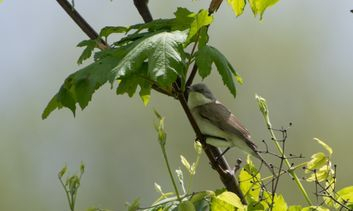 Apart from a migrating bird on 12th May the observations generally concern local birds, their behaviour in spring strongly suggestive of a breeding pair in or near the Bois de Vincennes just south of the park. 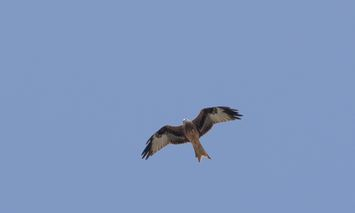 A single bird carrying prey, flying low and purposefully to this area, noted on three dates (15th July, 21st August and 8th September). Single birds noted on 15 dates. 25th March - 1st April , 5th April [BG] , 14th & 15th April - 1st May [SX/SH/DT] , 6th May [SH/DT] , 8th May, 10th May [SH/DT] , 20th & 21st May. 25th August - 3rd October [BG] , 27th October [ED/IG/ML/DT] - 17th November [ED/IG/ML/DT]. Common resident – 1-8 birds observed regularly throughout the year. 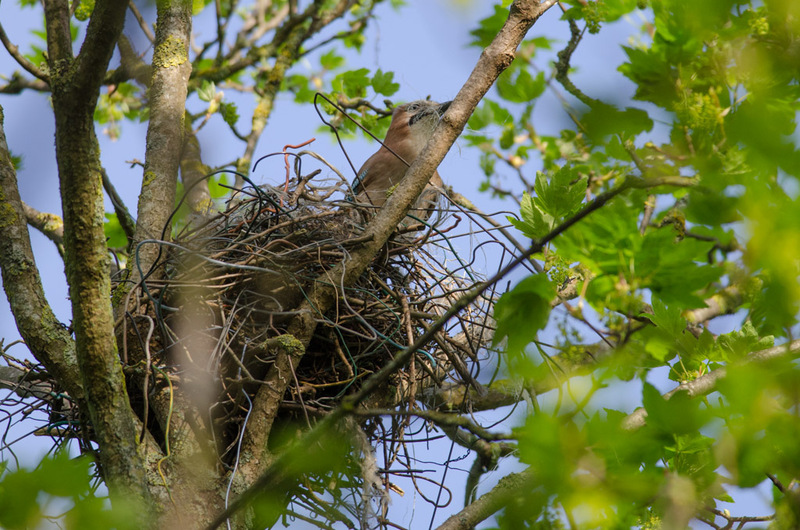 Breeding confirmed at the Mare de Bas with an active nest containing an adult with at least two chicks on 29th April. 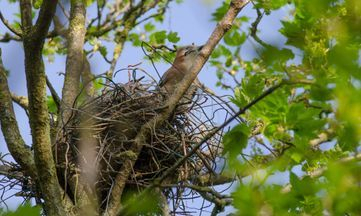 However this nest had apparently been abandoned by 10th May when two adults and five chicks were present at a newly constructed nest nearby. A third nest was under construction on 26th May. Breeding presumed also at the Mare Perchée with juveniles observed there in August and September. 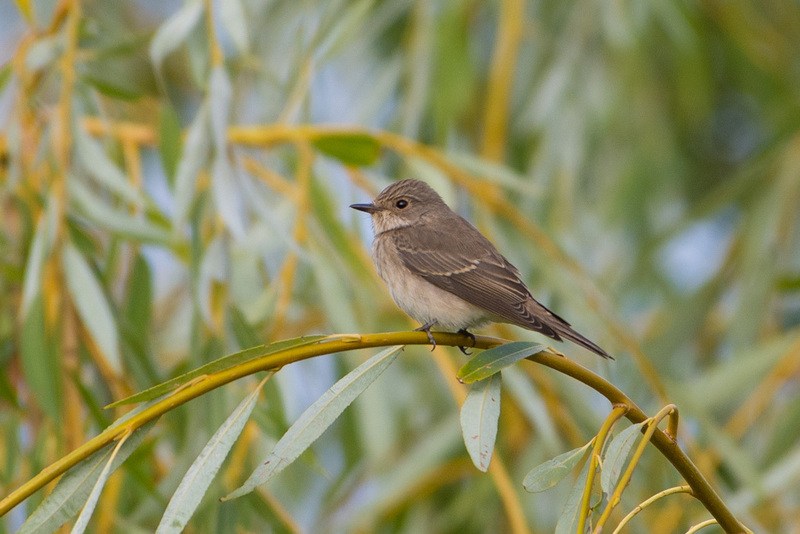 Rare migrant – one observation in autumn. Observed flying over the park on six dates (two in spring and four in autumn). 3rd March (391) , 25th March (40) [ED/ML]. 14th October (2) [ED/IG/ML/DT] - 3rd November (87) [IG/DT] , 17th November (259) [ED/IG/ML/DT] , 18th November (134) [SX/IG/ML/PR/DT]. A good year - observed in active migration on seven dates (three in spring and four in autumn). 11th March (30) , 15th March (4) , 24th March (32). 1st November (2) , 11th November (11) , 17th November (25) , 18th November (26) [IG/ML/DT]. 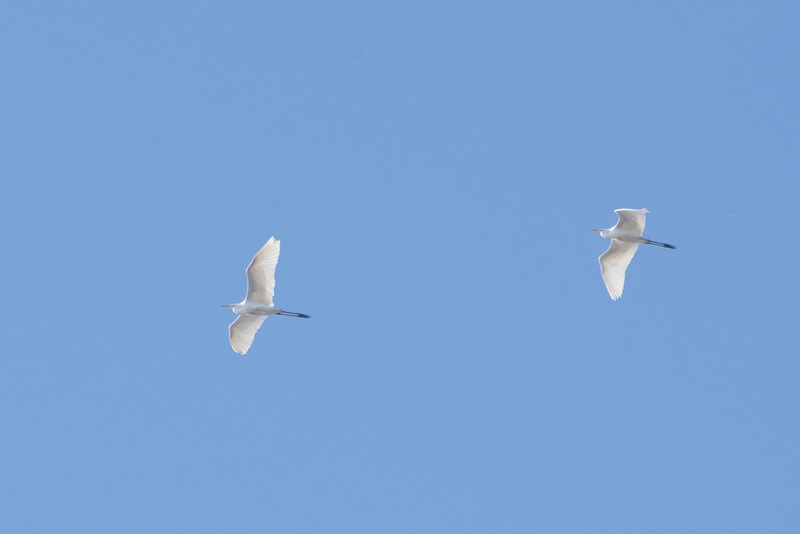 Observed in active migration once in early autumn. This was the first sighting since autumn 2015. An individual was flushed from the undergrowth near the cascade in the early morning, followed almost immediately by a second bird. 27th October (1) [ED/IG/ML/DT] - 1st November (3). 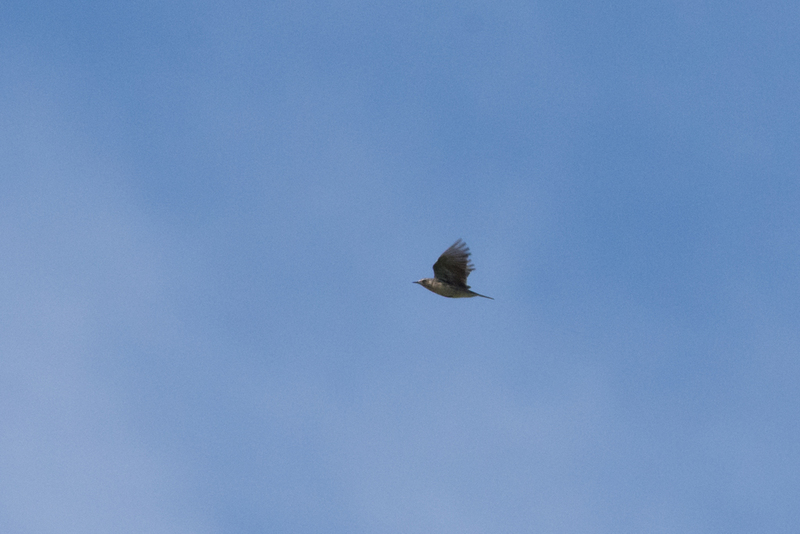 Small numbers (generally 1-10 birds) seen flying over the park in winter, early spring and autumn. Rather uncommon and irregular from May to August. 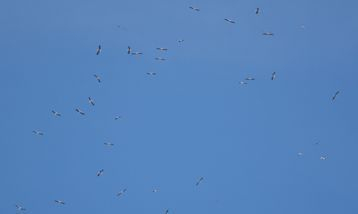 About 240 birds noted flying northeast on 24th March. 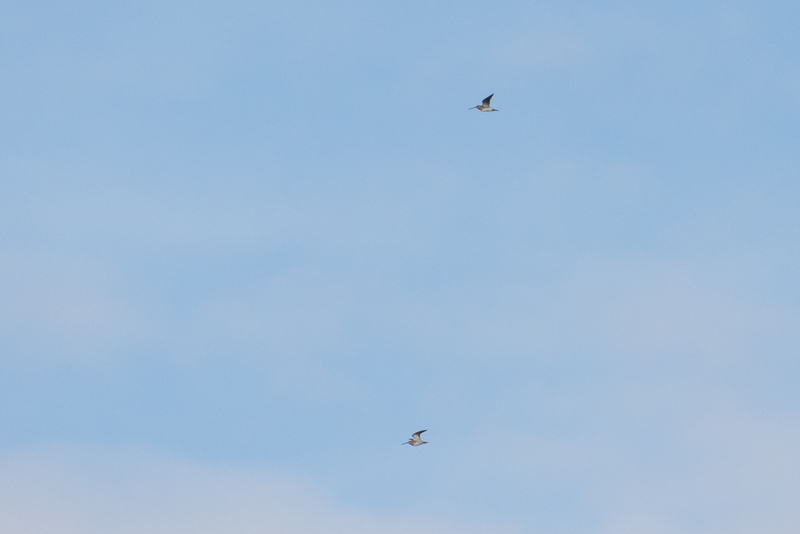 Small groups (presumably « roost birds ») noted regularly in autumn flying north in the early mornings [PR/DT]. Uncommon migrant. One record in spring. 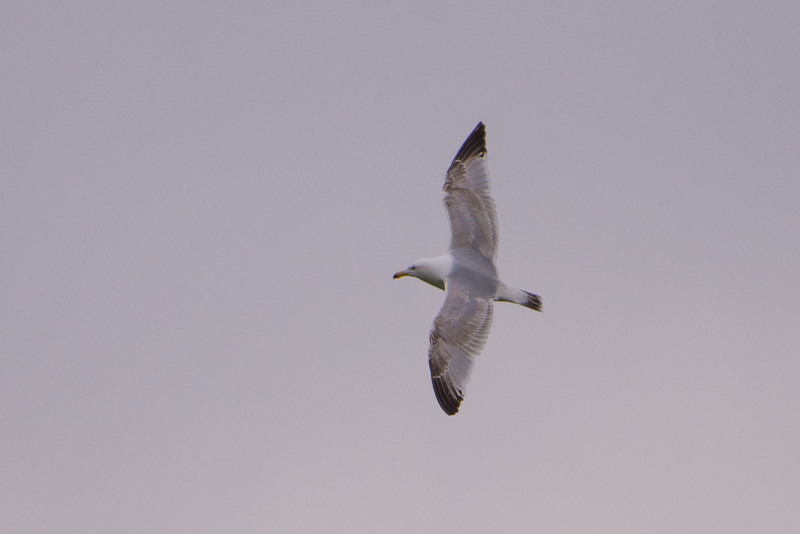 Probably under-recorded due to the difficulty of identifying distant large gulls in flight. Most notable in spring, especially May. In spring, 1-12 noted on 10 dates from 31st March – 27th May. In autumn, 1-13 observed on eight dates from 15th July – 18th November. 31st March (1) - 21st April (1) , 24th April (1) , 25th April (1) - 6th May (1) , 18th May (12) , 20th May (2+) , 23rd May (3) , 26th May (1) , 27th May (2) [SH/DT]. 15th July (13) - 16th September (12) - 6th October (1) , 14th October (9) [ED/IG/ML/DT] , 21st October (2) - 4th November (1) , 17th November (7) [ED/IG/ML/DT] , 18th November (4) [IG/ML/DT]. A relatively common resident breeding in the immediate vicinity of the park, most often noted in small groups flying eastwards. Breeding unconfirmed but possible (an individual on site in the Parc Mabille on 5th May). Common resident, breeding inside the park – seen daily. Numbers on site supplemented by local movements of birds flying over the park in diverse directions. 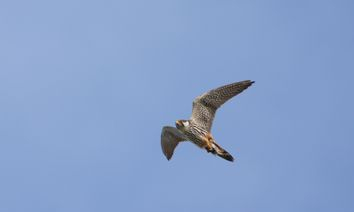 In general birds are seen flying to the northeast in the morning, returning towards Paris later in the afternoon. Large groups of migrating birds noted on six dates in late autumn from 14th October to 18th November, with a peak of 2030 on 18th November [SX/IG/ML/PR/DT]. Relatively common resident. 1-2 birds observed almost daily, either flying overhead or perched on site near the Mare Perchée or inside the re-cycling plant. Breeding behaviour noted on 19th May. Rather rare passage migrant. Two observations (one in spring and one in autumn). Since the species is usually seen flying rapidly over the park in spring, both records were exceptional : the first was of a singing male on site at dawn after a night of heavy rain, whilst September’s bird spent the entire morning in the Prairie, feeding on the ground amongst the woodpigeons. Rather rare and irregular at Beaumonts – probably under recorded. Vocalisations of at least one individual recorded on three dates in September (16th, 19th and 27th). The apparent absence of this species during night visits in spring suggests that the recordings may involve a wandering juvenile (BG, pers comm). Common in summer – seen daily. 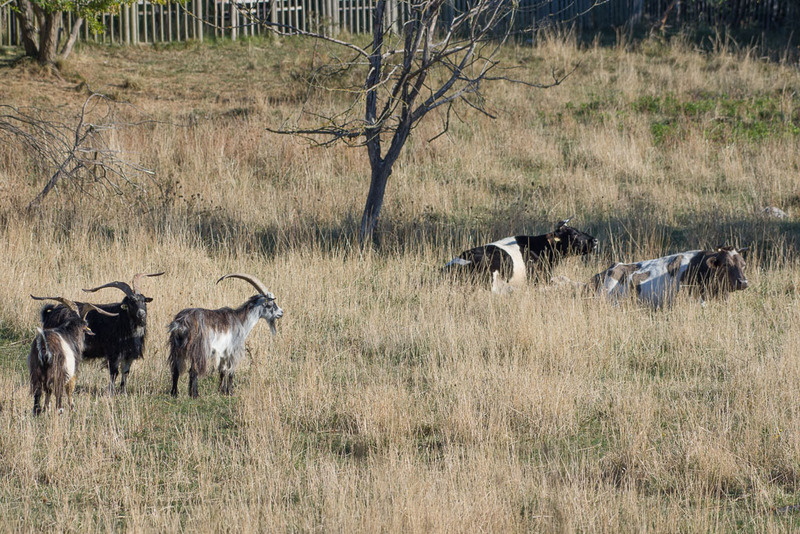 Breeds in the immediate vicinity of the park. 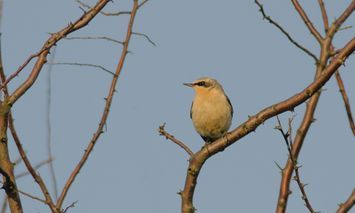 Noted for the first time on 19th April (a group of about 25 birds, arriving in the early evening). In general fewer birds noted compared to previous years. Local populations appeared to have settled by early May with several pairs copulating on 5th and 10th. Autumn passage apparent for the first time early in the morning of 17th July when several birds flew purposefully southwest in straight lines, higher up than the local birds hawking insects over the Mare Perchée. Observed for the last time on 26th August [PR/DT]. Relatively common resident – numbers have increased sharply over recent years. 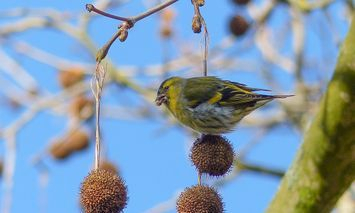 Breeding birds have now established themselves in the tall trees in the parc Mabille area. 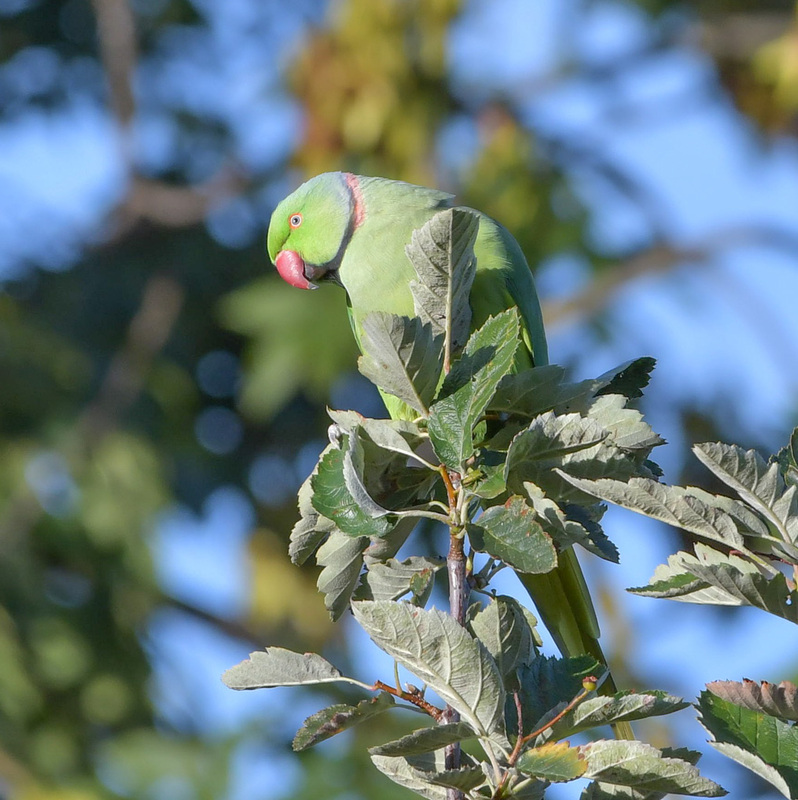 Observations usually consist of individuals or small groups flying noisily overhead – it is presumed that a large number involve birds moving back and forth from other breeding/roosting sites in Vincennes, Roissy, or the nearby parc Montreau in Montreuil. One of the highlights of the year this was the first record since November 2003. The bird was probably migrating, flashing low towards the reeds and water at the Mare Perchée but apparently not landing there. Resident frequently seen or heard throughout the year. At least one pair breeding inside or close to the park. Very vocal and easy to find in March. A couple observed on the lawns on 6th May. Juvenile noted on 15th July. 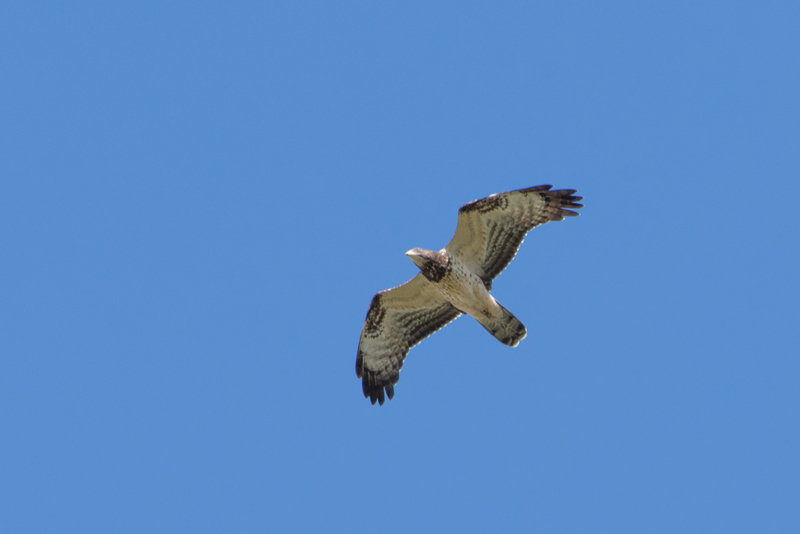 At least one resident breeding pair – seen or heard almost daily throughout the year. Like the preceding species, more discreet in late July. Rare at Beaumonts – one observation in summer. Has become rarer over recent years. Noted on three dates. 2nd April (1) [EK] - 26th May (1) - 8th September (1) [IG/DT]. 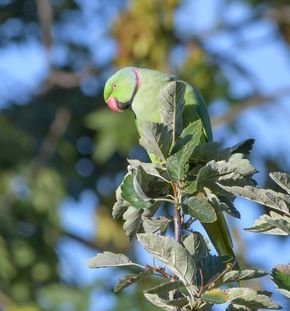 Perhaps coincidentally, the demise of this species at Beaumonts correlates with the inverse fortunes of the Rose-ringed Parakeet. 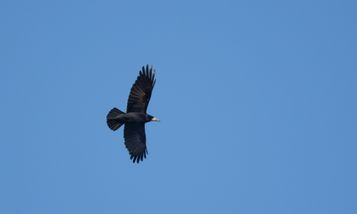 Seen flying over the park. Fairly common passage migrant in spring and (especially) autumn. Recorded twice in spring, on 18th February (30) and 15th March (25). In autumn noted on 10 dates from 12th October to 17th November with a peak of 162 on 14th October [ED/IG/ML/FR/DT]. Not recorded in spring this year. Exceptional numbers in autumn : noted on eight dates from 12th October to 17th November with a peak of 51 on 13th October [ED/IG/ML/FR/DT]. Fairly uncommon but regular passage migrant in spring and autumn. Rather a disappointing year – noted on five dates (three in spring and two in autumn). 26th April (1) - 8th May (1) , 26th May (2). 15th August (1) - 9th September (1). Common migrant in spring and autumn. Rarely recorded in summer. Lower numbers than in previous years. In spring observed almost daily from 5th April to 27th May with a small peak of 13 on 21st April. Small numbers noted in autumn on ten dates from 19th August to 14th October – small peak of 19 on 16th September [IG/PR/DT]. Fairly common passage migrant – small numbers in spring and autumn. First recorded in spring on 11th April. 1-6 birds noted on 12 dates thereafter until 27th May. Observed on only six dates in autumn from 19th July to 13th October, with a small peak of 23 on 20th September [BG]. 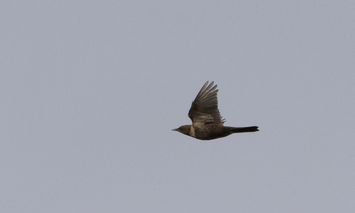 Noted migrating in spring on nine dates from 15th March to 27th April with a small peak of 14 on 15th April [PR/DT]. Absent in summer. First recorded in autumn on 15th September. Observed regularly thereafter in small numbers until 4th November, with a peak of 99 on 14th October [ED/IG/ML/FR/DT]. Relatively common passage migrant in spring and autumn. Observed for the first time in spring on 31st March. 1-3 noted thereafter on five dates until 1st May (the majority observed on site in the Prairie). Absent in summer. In autumn noted on 10 dates from 18th August to 15th September, with a notable passage of 31 on 31st August. Uncommon migrant in spring and autumn. One observation in spring. Fairly common migrant in spring and autumn. 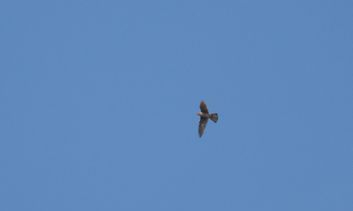 Very few spring records this year : individuals noted flying over the park on three dates from 10th March to 2nd April. Absent in summer. Observed on nine dates in autumn from 6th October to 4th November with a peaks of 35 on 12th and 13th October [ED/IG/ML/PR/DT]. Fairly common passage migrant in spring and (to a lesser extent) autumn. Relatively few records this year. In spring 1-2 noted on four dates from 21st April to 21st May. Observed four times in autumn, from 26th August to 18th September. One (sometimes two) noted on site, especially during the second half of the year. The species is particularly attracted to the recycling plant with its stands of water - the majority of records refer to birds flying back and forth from this area and the town center. Individuals apparently on migration noted once in spring (11th March) and twice in autumn (31st August & 6th October). 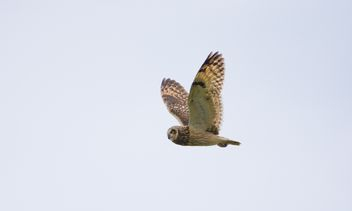 Common breeding resident – small numbers seen or heard daily. Common breeding resident – small numbers seen or heard daily. More discreet in summer. Fairly common breeding resident. 1-4 birds observed almost daily.Like the preceding species, more discreet in summer. An adult with juveniles noted on 5th May. Another disappointing year, no doubt caused by the removal of much of its habitat at the end of 2014. Breeding inside the park is now very unlikely. Rather irregular and uncommon migrant. Absent in summer, although breeds in the immediate vicinity of the park. Recorded twice in spring : 2nd April (1) and 6th April (1) [PR]. Noted only twice in autumn : 30th September (1) and 6th October (1). Rather uncommon migrant. Noted in spring and (especially) early autumn. In autumn 1-3 noted on six dates from 18th August to 16th September [IG/DT]. Very uncommon migrant. A good year with three records (two in spring and one in autumn). 23rd April (1) - 6th May (1). 18th August (1) - 2nd September (1). Regular but uncommon passage migrant. Observed on three dates (one in spring and two in autumn). 30th September (1) - October 12th (1) [AM/DT]. Fairly common breeding resident. 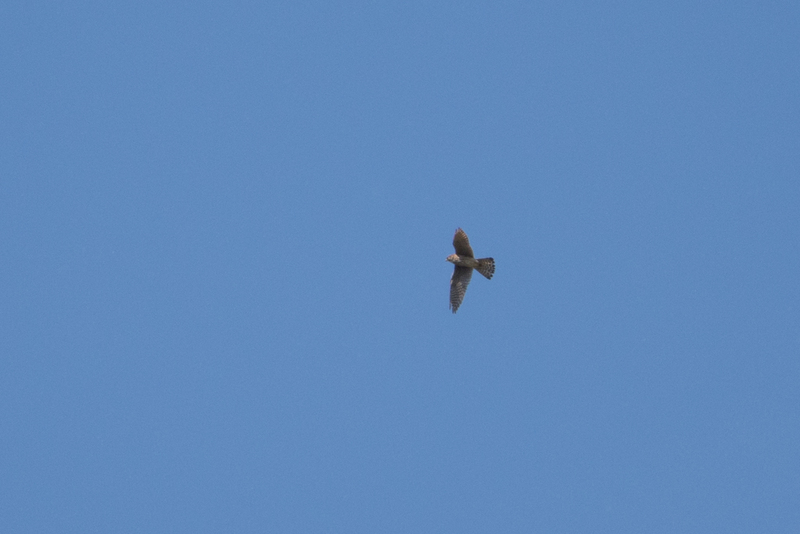 Small numbers (usually 1-5) seen or heard daily. In late autumn observed actively migrating on seven dates from 6th October to 18th November with a peak of 17 on 4th November [IG/DT]. Feeble presence in winter at the start of the year – individuals on site noted on four dates : 12th January [PR] - 12th & 16th February [PR] - 4th March. 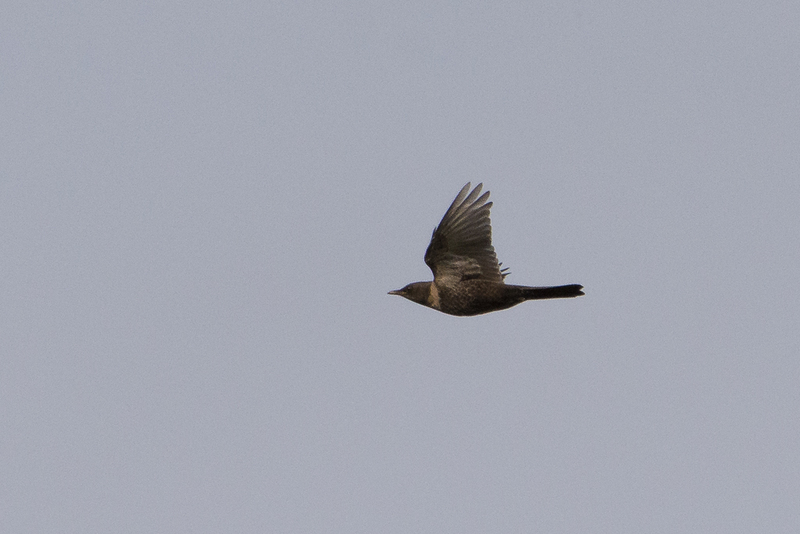 Noted once in spring in active migration ; 15th March (3). 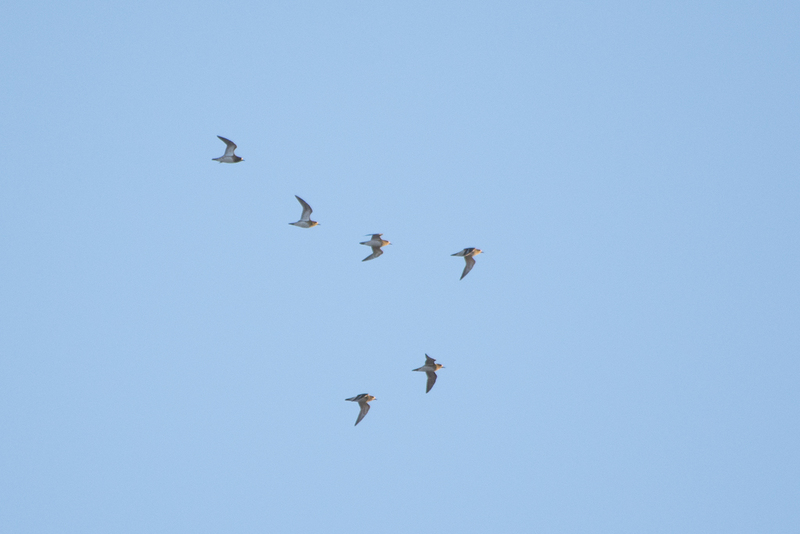 1-23 noted (often flying to the north) on eight dates from 20th October to 18th November. 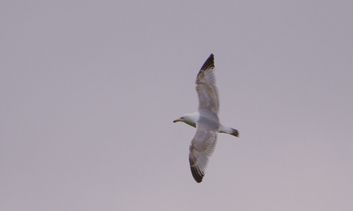 130 observed flying north on 30th November [PR]. Common but rather discreet resident breeding on site (at least three pairs estimated). Generally 1-5 birds noted daily. Numbers bolstered in spring and autumn by passage migrants. Fewer birds noted in active migration compared to previous years. In spring, observed from 11th March to 2nd April with a small peak of 31 on 31st March. In autumn, from 3rd October to 18th November, small peak of 34 on 14th October [ED/IG/ML/FR/DT]. Present on site at the beginning of the year – a group of around 30 birds seen regularly from 1st January to early March, with 40 on site on 3rd March. Small numbers noted in spring up until 2nd April (2 birds [BG]). Recorded for the first time in autumn on 12th October. Recorded in small numbers thereafter until 18th November – small peak of 28 on migration on 4th November [IG/DT]. 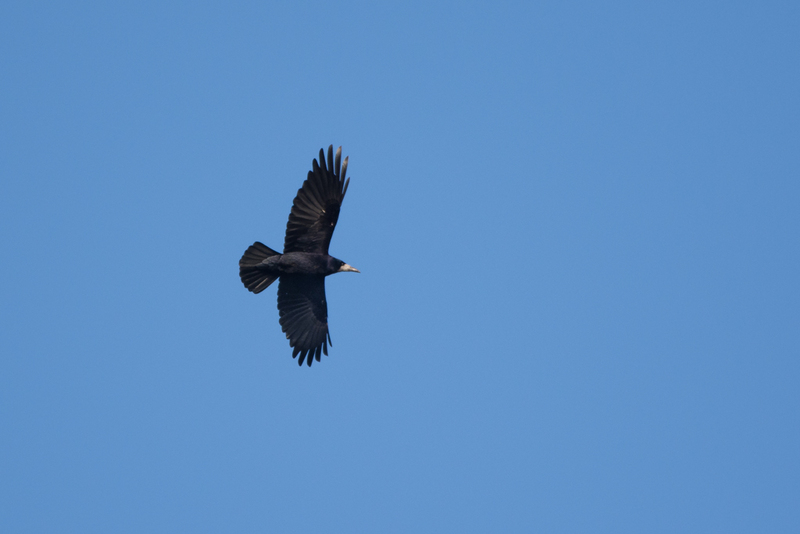 Relatively common resident ; 1-3 birds noted regularly throughout the year. Breeding confirmed with an adult and juveniles together on 19th May. Migration noted on seven dates in autumn from 3rd October to 17th November with a peak of 12 on 14th November [IG/DT]. Irregular summer visitor and passage migrant. A disappointing year – noted on only six dates. Exceptionally discreet or absent in spring. 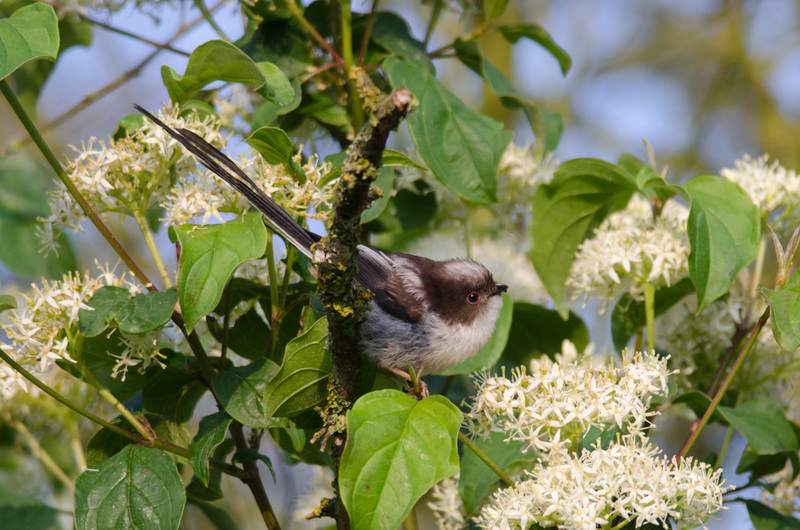 Singing birds noted on 1st & 12th May in wooded areas of the park, far from the reedbed. Discreet singing heard only once at the Mare Perchée (on 28th July). Observed three times in autumn : 19th August (1) – 6th & 7th October (1). The October bird was ringed (silver, right leg). 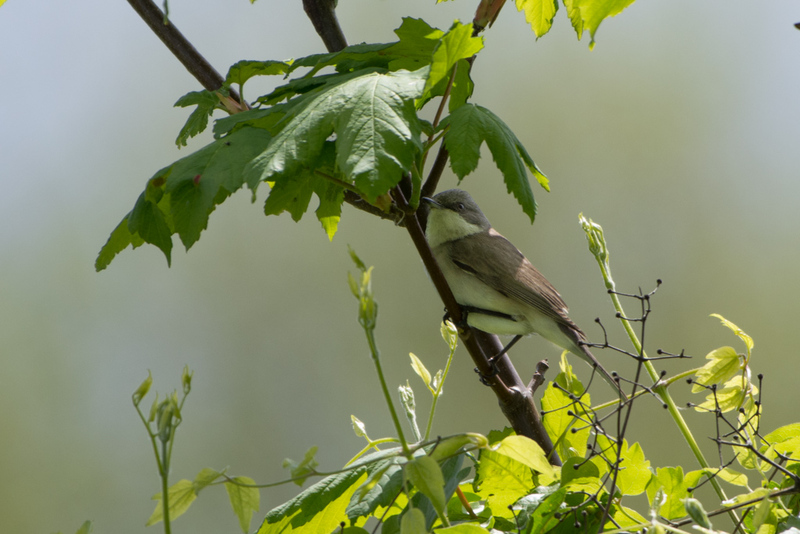 Summer visitor and migrant – two breeding pairs estimated. Observed for the first time in spring on 21st April. Singing diminished by the end of May although an individual sang vigourously on 16th June on a day when juveniles were present. Perhaps the same individual was singing in similar fashion on the exceptionally late date of 24th July, encircled by a group of very silent and curious Blackcaps. Noted twice in August. Observed for the last time on 9th October [PR]. Common summer visitor and migrant, breeding on site. 1-12 birds either seen or heard daily. Present on site in winter at the start and end of the year – observed on six dates from 14th January to 8th February with a singing male on 14th [PR] & 27th January. Relatively feeble presence in autumn – maximum of 14 on 8th September. As in 2017 the lack of birds in October (until 21st) was notable (1-3 birds recorded on six dates). 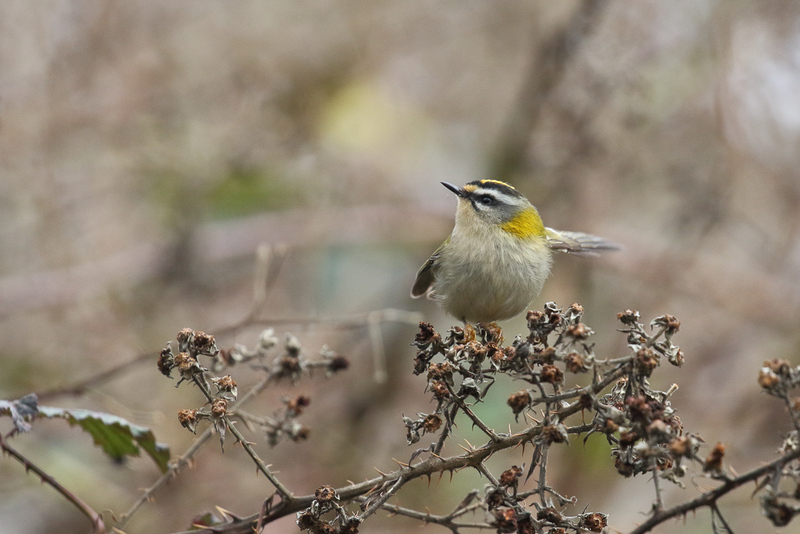 A male observed on 1st December. Observed on eight dates (five in spring and three in autumn). 15th August (1) , 18th August (1) - 7th October (1). 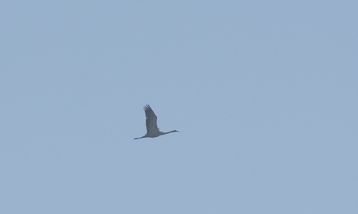 The October bird approaches the latest recorded departure date in autumn for this species in Seine-Saint-Denis (11th October, 1992 [Brisechant E., 2014. Les Oiseaux de Seine-Saint-Denis. CORIF]). Fairly common summer visitor, usually breeding on site. Fewer birds noted than in previous years. One breeding pair confirmed. First noted in spring on 20th April [PR]. 1-3 birds noted regularly thereafter. At least two singing males on 5th May. 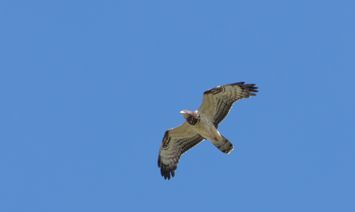 Adults observed carrying food to a nest in the southwestern sector of the Prairie on 19th May. 2-3 birds noted occasionally in August. Last seen on 8th September [IG]. 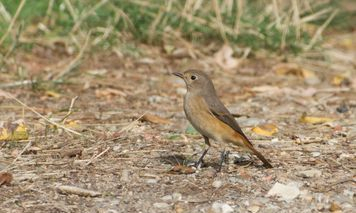 Rather uncommon but regular migrant – does not breed at Beaumonts. 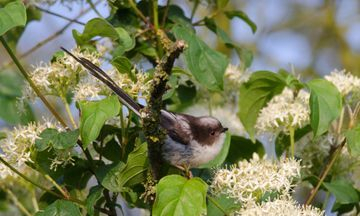 Small numbers noted irregularly in spring and early autumn. Noted first in spring on 14th April. 1-2 observed fairly regularly thereafter until 12th May. Relatively few records in autumn. 1-2 noted on eight dates from 15th August to 27th September. 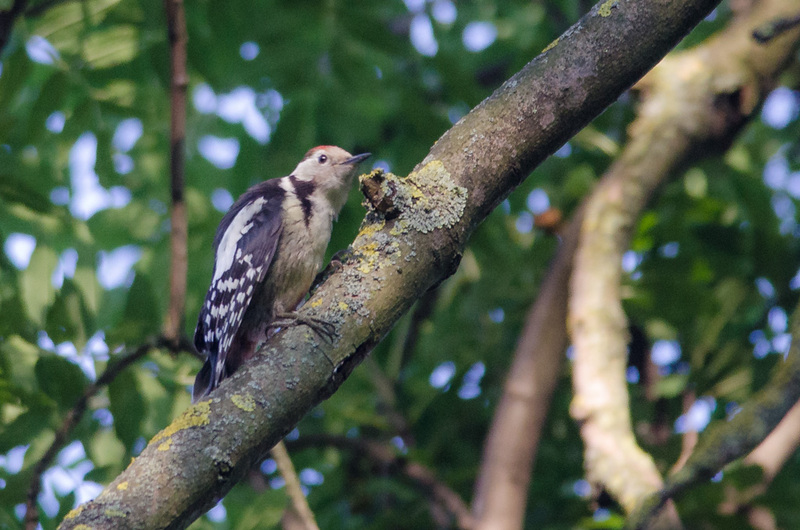 Common in summer – seen or heard every day. Present in winter at the start of the year with three records in January. Song noted on 11th March. Observed in small numbers thereafter – numbers generally lower than in previous years (maximum of about seven in late September). Adult observed carrying food to juveniles on 19th May. Relatively feeble presence in October – in late autumn 1-5 noted regularly until 4th November. Rather uncommon resident. Breeding probable in the northern section of the park but unconfirmed. 1-2 noted fairly regularly throughout the year. Not uncommon resident, noted more frequently than the preceding species. Breeding possible but unconfirmed. 1-4 observed fairly regularly throughout the year (except June and July). For yet another year a singing male present in early spring, from 3rd March – 16th May. Singing very evident (from four areas of the park) on 22nd April. Uncommon but regular passage migrant. Observed on 10 dates (one in spring and nine in autumn). 15th August (1) , 19th August (1) , 25th August (2) , 31st August (1) - 1st September (2) , 2nd September (2) , 8th September (1) [IG/DT] , 15th September (1) , 16th September (2) [PR]. Fairly common passage migrant in autumn ; rare in spring. Observed on seven dates in autumn. 18th August (1) , 19th August (1) , 31st August (1) - 1st September (2+) , 2nd September (1+) , 8th September (1) [IG/DT] , 9th September (3). Common breeding resident – small numbers seen daily. Breeding resident – a little less common than the preceding species ; normally 1-4 birds seen or heard daily. A group of around 20 present in late January/early February. Rather rare resident. Breeding confirmed in 2015. Rather uncommon. A disappointing year – observed on just seven dates. 8th January (1) [PR] , 26th January (1) [PR] , 28th January (1) - 3rd February (1) , 16th February (1) [PR] - 3rd March (2). Uncommon winter visitor and passage migrant. Observed on six dates during the first half of the year. 13th January (4) , 28th January (2) - 4th February (2) [PR] , 10th February (3) [PR] - 4th March (1) - 11th April (1). Fairly common resident. 1-15 observed irregularly throughout the year. Breeding confirmed with at least two couples estimated. Juveniles observed on 8th May. Adults carrying food to a nest (hidden in a large conifer) noted in another area of the park on 11th May [PR]. Fairly common resident – at least two breeding pairs estimated. Individuals noted sporadically throughout the year. 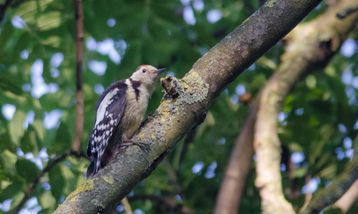 Breeding confirmed ; an adult feeding recently-fledged juveniles in the Mabille sector of the park on 8th May. Very common resident, breeding on site. Up to around 20 birds observed every day. Fairly common resident, breeding on site. Usually 1-3 oiseaux observed daily. Interestingly a nest found on 21st April contained at least three coat-hangers (perhaps lifted from the nearby gardens on rue des Quatre Ruelles). Although this apparently empty nest was not used for the purpose of raising young, the numbers of coat-hangers had increased to about eight by the end of June. Uncommon. 1-11 birds noted flying over the park on five dates (three in spring and two in autumn). 25th February (2) - 11th April (2) - 6th May (3). 3rd November (2) [IG/DT] , 4th November (11) [IG/DT]. Uncommon but regular migrant. 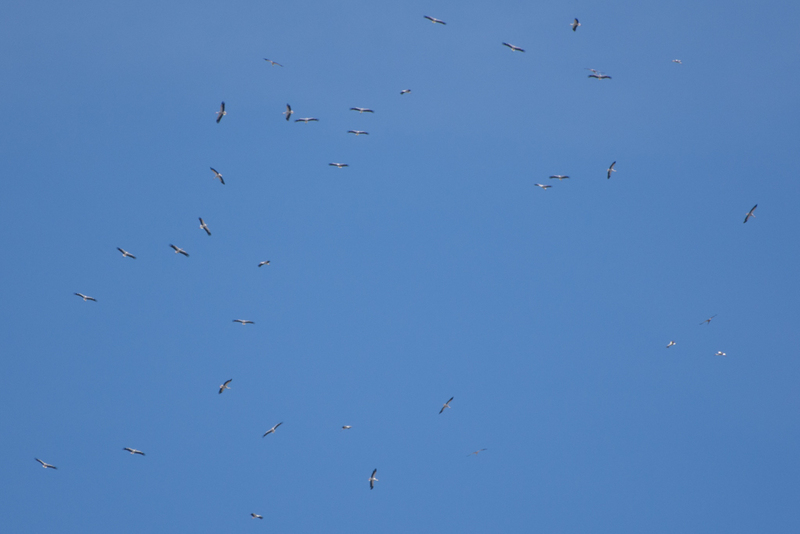 Records typically involve small, loose groups of less than 10 birds flying purposefully overhead. Observed on 14 dates (six in spring and eight in autumn). 24th February (2) - 3rd March (12) , 15th March (1) , 31st March (2) - 1st April (1) - 10th May (2). 20th September (2) [BG] - 20th October (4) , 21st October (3) , 27th October (5) [EG/IG/ML] - 3rd November (9) [IG/DT] , 4th November (27) [IG/DT] , 17th November (1) [IG/DT] , 18th November (2) [IG/ML/DT]. 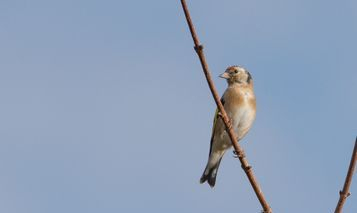 Common breeding resident – up to about 10 birds seen daily. Fairly common resident, breeding inside the park. Small numbers seen daily. A group of about 30 observed regularly in the Prairie in winter at the start and end of the year [VL/PR/DT]. Rather discreet in April. Breeding confirmed with adults and juveniles on the lawns on 19th May. Increased numbers noted from mid August. 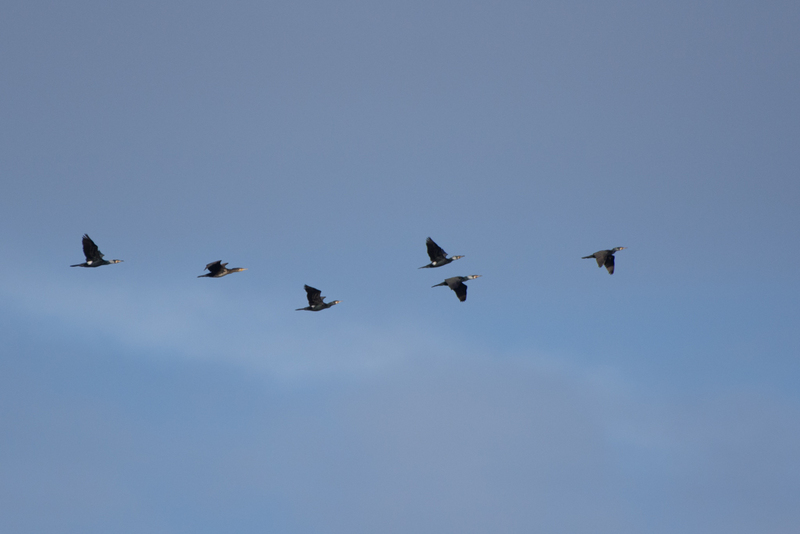 Active migration noted in spring on five dates from 10th March to 2nd April, with a maximum of 190 on 10th March. Migration noted in autumn on 11 dates from 13th October to 18th November with a peak of 709 on 3rd November [IG/DT]. Fairly common resident, nesting around the urban edges of the park. 1-4 seen fairly regularly. Fairly common resident, especially in winter – small numbers seen almost daily. As usual, singing heard from the northern section of the park in spring. Discreet in summer. Common migrant : in spring noted in small numbers flying northeast regularly from 11th March to 14th April. Observed regularly in late autumn, from 16th September to 18th November with a peak of 689 on 13th October [ED/IG/ML/PR/DT]. Present on site in winter at the start of the year (1-4 noted on four dates from 8th January to 3rd February [PR/DT]). 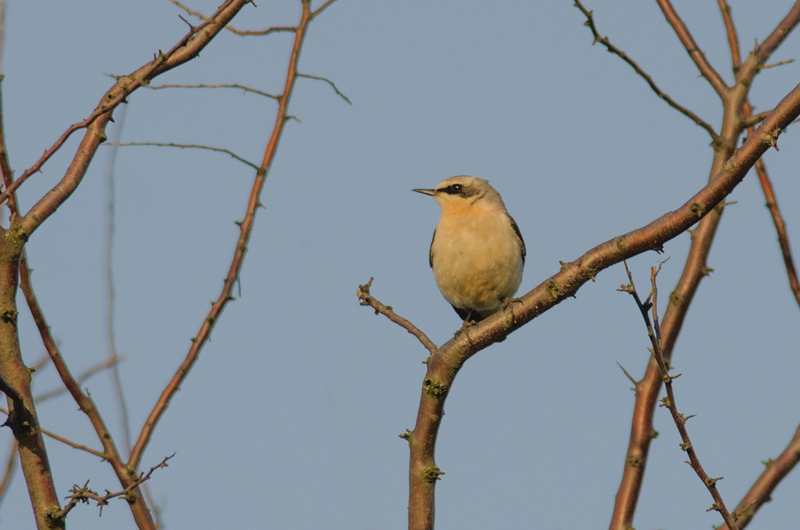 Poor showing in spring – noted only twice (11th & 15th March). Active migration in autumn from 3rd October to 4th November – observed on nine dates with a maximum of 92 on 1st November. 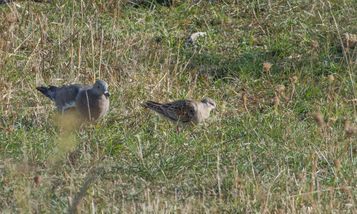 A group of about 10 birds noted on site occasionally in November. Fairly common passage migrant noted in spring and autumn. First noted in spring on 24th March. Small numbers observed thereafter (1-12), on 14 dates until 6th May. Noted in autumn on seven dates from 6th October to 4th November with a peak of 45 on 14th October [ED/IG/ML/FR/DT]. 3rd March (2) - 2nd April (5) [IG/DT]. Only recently split from the following species this constituted a first for the park. The observations are to be seen in the context of an exceptional influx of this taxon into the region; at the beginning of the year there were regular sightings in central Paris, and the overall numbers surpassed those of the (usually much commoner) Lesser Redpoll. Like the preceding species, observed twice in spring. 21st April (1) , 22nd April (1). A group of roughly 15 noted several times at the beginning of the year [VL/PR/DT]. 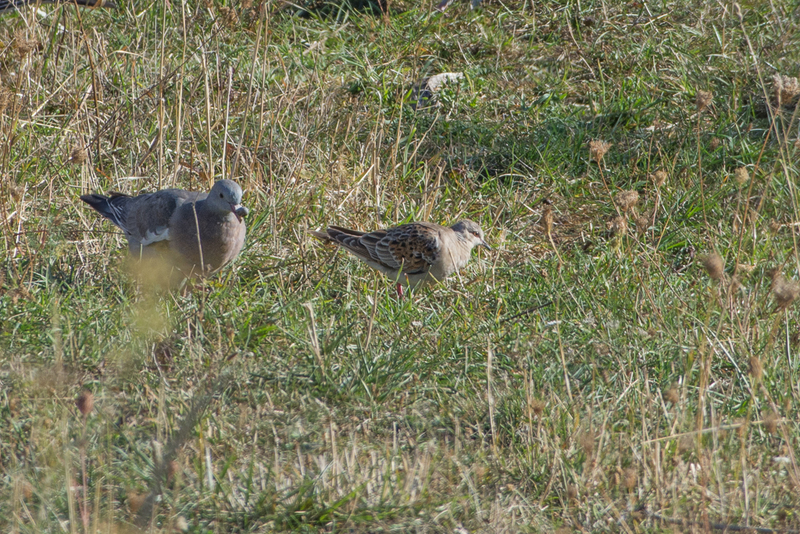 Small group of five birds present in November. 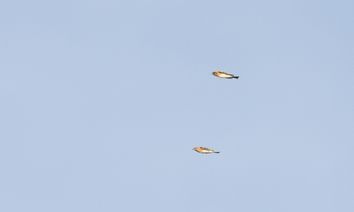 1-2 apparently migrating noted on five dates in spring from 25th March to 27th April. 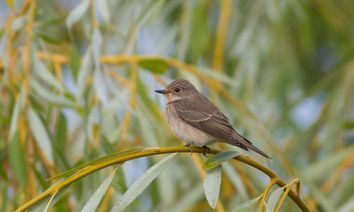 In autumn, migration observed on six dates from 12th October to 4th November with a peak of 18 on 27th October [SX/ED/IG/ML/DT]. Common resident, breeding in or near the park. 1-5 birds noted regularly throughout the year. More discreet in spring and summer. Exceptional numbers in October and early November, a group reaching a maximum of about 20 birds on 20th and 27th October. Relatively common passage migrant ; uncommon in winter. Present on site in winter at the beginning of the year : a group of around 30 noted regularly from January to mid-February. Apparently absent in late February although 1-4 noted on four dates in March. Heard on migration on 15th April. Migration observed in autumn on six dates, from 12th October to 4th November with a maximum of 30 on 4th November [IG/DT]. Rather uncommon resident, probably breeding close to the park. Recorded on just five dates this is one of several species which have become scarcer in recent years. 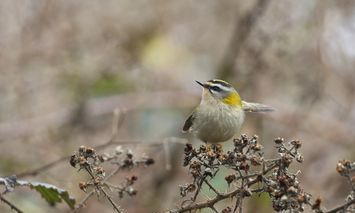 Not heard singing this year in spring. 16th July (1) , 19th July (1) , 28th July (1). Discreet resident. Has become scarcer over recent years. Noted on three dates at the beginning of the year. Uncommon passage migrant and winter visitor. Present on site in winter at the start of the year ; 1-8 noted on 31 dates from January until 27th May. Five sightings in May suggest possible breeding nearby. 1st November , 3rd November [IG/DT] , 4th November [IG/DT]. Uncommon and irregular in winter. Fairly common passage migrant in spring and (especially) autumn. As was the case in 2017, not recorded during the first half of the year. Noted on nine dates in autumn from 6th October to 17th November with a feeble peak of 12 on 14th October [ED/IG/ML/DT]. Very uncommon migrant. One observation in late autumn.